On December 9, 1974 Delia Ortiz was hired at the Laredo Housing Authority. Gerald Ford was president, Kung Fu Fighting by Carl Douglas was the Number 1 song on the billboard chart, and she began her career as a clerk typist. Moving up the ranks, Ms. Ortiz ultimately achieved the positon of CQI Specialist in 2009. 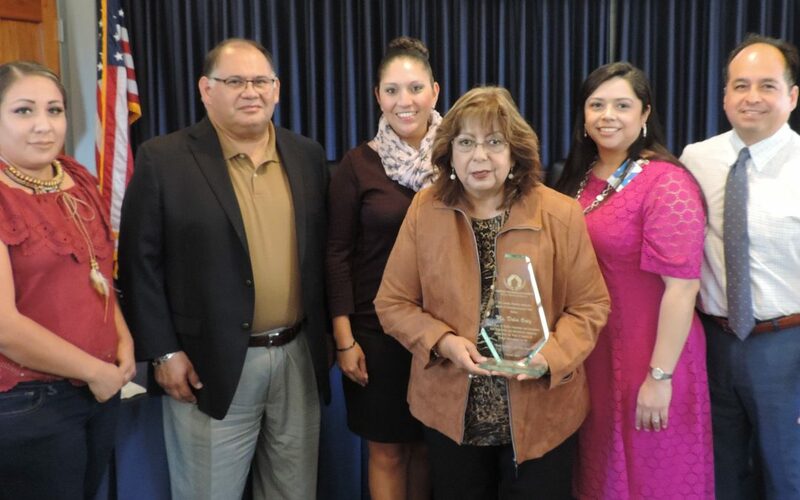 During her 42 years with the Laredo Housing Authority, she witnessed the development of Ana Ma. Lozano, Meadow Acres, Meadow Elderly, South Laredo and Farm Labor. Ms. Ortiz has been an essential part of the agency’s growth and achieved certifications in Public Housing Rent Calculations and Housing Authority Liability and Safety. Six presidents, six mayors and five executive directors later, Mr. Ortiz is calling it a career. We thank Ms. Ortiz for her service, dedication, and loyalty to the Laredo Housing Authority and wish her a long life, health, and happiness. LHA encourages all contractors to employ low and very low income persons in accordance with its Section 3 Policy. The purpose of Section 3 is to make HUD-financed economic opportunities available to low-income residents. Under LHA’s Section 3 program, there are multiple requirements for every contract. Hiring and Contracting criteria are both regulated under Section 3. LHA’s Section 3 requirements are outlined in the Housing and Urban Development (HUD) Act of 1968 as amended (24 CFR Part 135) and does not apply to Supply & Delivery contracts. Pursuant to this Agency’s intention to preserve transparency and promote public trust, the following public information requests made to this Agency since 2016 are being presented here for public viewing. Request Information: Please provide the procurement process used in hiring Escamilla and Poneck. Please provide all invoices paid to this law firm. Request #1: All of LHA’s, as well as LHOC’s, LHFC’s, and LHCD’s (hereafter collectively “PFCs”) correspondence (emails, letters, faxes, notes of telephone conversations, notes of meetings, et al. 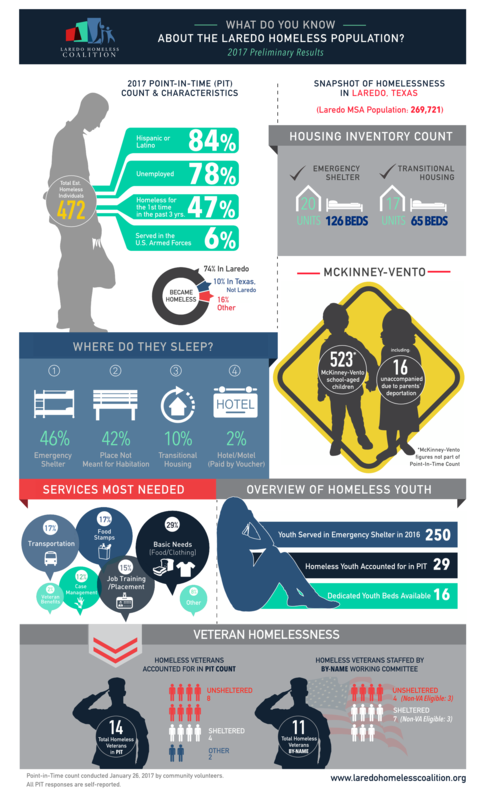 — whether in paper or electronic form), including that of LHA’s Commissioners, PFCs’ Directors, and LHA’s legal counsel or anyone acting on it’s behalf, to and from the (a) U.S. Department of Housing and Urban Development (including the offices in Washington, D.C. and San Antonio, and the Special Applications Center in Chicago) (hereafter collectively “HUD”); (b) Texas Department of Housing and Community Affairs (TDHCA); (c) the City of Laredo, and (d) Brownstone Affordable Housing, Ltd. and/or it’s consultant Leslie Holleman & Associates, relating to the River Bank Village project (TDHCA No. 13081) from January 1, 2016 thru the present. Request #2: All of LHA’s and PFCs’ correspondence (emails, letters, faxes, notes of telephone conversations, notes of meetings, et al. — whether in paper or electronic form), including that of LHA’s Commissioners, PFCs’ Directors, and LHA’s legal counsel or anyone action on its behalf, to and from (a) HUD; (b) TDHCA; (c) City of Laredo; and (d) Brownstone Affordable Housing, Ltd. and/or it’s consultant Leslie Holleman & Associates, relating to the Casa Verde Apartments project (TDHCA No. 15251), from January 1, 2016 through the present. Request #3: All of LHA’s and PFCs’ correspondence (emails, letters, faxes, notes of telephone conversations, notes of meetings, et al. — whether in paper or electronic form), including that of LHA’s Commissioners, PFCs’ Directors, and LHA’s legal counsel or anyone action on its behalf, to and from (a) HUD; (b) TDHCA; (c) lenders; and (d) Brownstone Affordable Housing, Ltd. and/or it’s consultant Leslie Holleman & Associates, relating to the Stone Oaks Seniors, and Stone Oaks Family projects, from January 1, 2016 through the present. Request #4: All of LHA’s and PFCs’ correspondence (emails, letters, faxes, notes of telephone conversations, notes of meetings, et al. — whether in paper or electronic form), including that of LHA’s Commissioners, PFCs’ Directors, and LHA’s legal counsel or anyone action on its behalf, to and from (a) HUD; (b) City of Laredo; and (c) lenders relating to the 27 Apartments in South Laredo, from January 1, 2016 through the present. Request #5: All of LHA’s and PFCs’ correspondence (emails, letters, faxes, notes of telephone conversations, notes of meetings, et al. — whether in paper or electronic form), including that of LHA’s Commissioners, PFCs’ Directors, and LHA’s legal counsel or anyone action on its behalf, to and from (a) HUD; (b) City of Laredo; (c) Laredo Independent School District; (d) residents of Russell Terrace; (e) TDHCA; and (f) Brownstone Affordable Housing, Ltd. and/or it’s consultant Leslie Holleman & Associates, relating to the demolition and/or , from January 1, 2016 through the present. – (Housing Choice Voucher Program Section 8 and Section 8 certificate programs and/or Project based and/or tenant based) to include property address of home or unit, condo, or apartment, any HUD ID associated with the properties, home owners’ names, addresses and phone numbers. – If there are new programs not on this list, please include properties in your inventory under those programs as I realize these programs change names occasionally. Request Information: Under the Texas Public Information Act, 6252-17a et seq., I am requesting to obtain copies of your electricity contract and contract with any electricity consultant or electricity aggregator. And also requesting copies of current invoices for the last two months for 5 locations with the most electricity consumption. We are currently compiling information from municipalities, school districts, and political subdivisions. We are an independent broker/consultant from the surrounding area doing an analysis on this matter. Here are the agendas and minutes from the LHA Board of Commissioner’s meetings held in December 2015. In accordance with the Texas Public Information Act, Texas Government Code Annotated Section 552.001 et seq., a person or party may request inspection of and/or duplication of the public records maintained by or for the Laredo Housing Authority. In making this request, the Requestor understands that the Laredo Housing Authority is under no obligation to create a document to satisfy a request or to comply with a standing request for information. Requestor further understands that the information will be released in accordance with the Public Information Act, which may require a determination as to confidentiality by the Texas Attorney General prior to release. I further understand that the Laredo Housing Authority has ten (10) business days in which to request such a determination and/or to comply with this request. Are you requesting any and all documents including those that may meet an exception from disclosure under the Public Information Act (PIA)?